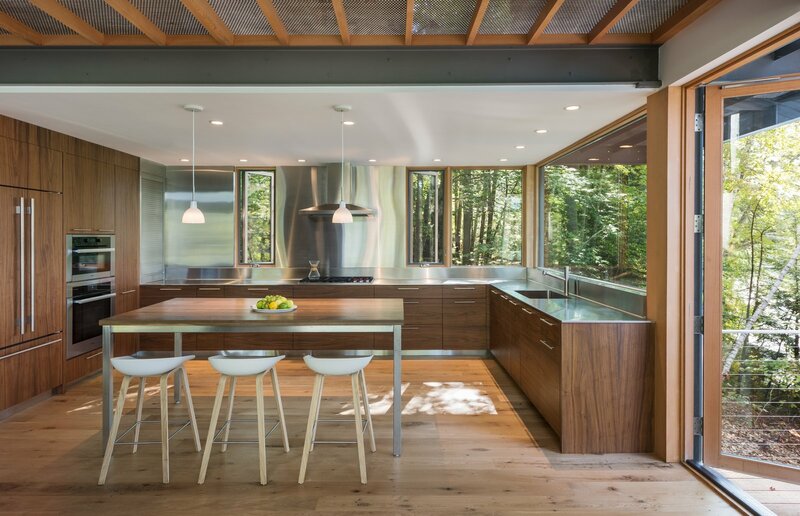 In the kitchen, custom walnut cabinets are paired with stainless-steel countertops and backsplash to help reflect the natural setting. "It captures the coloration of the landscape and the light, which makes it feel larger than it is," says Murdough. "Also, stainless steel is good for kitchens and work environments."